The Cats have excelled themselves. Not content with hibernating away from the cold weather, (normal positions on a cold night, J against one leg, E against the other, each with head pillowed on a shin, me pinned and wakeful) they’ve been out hunting overnight. 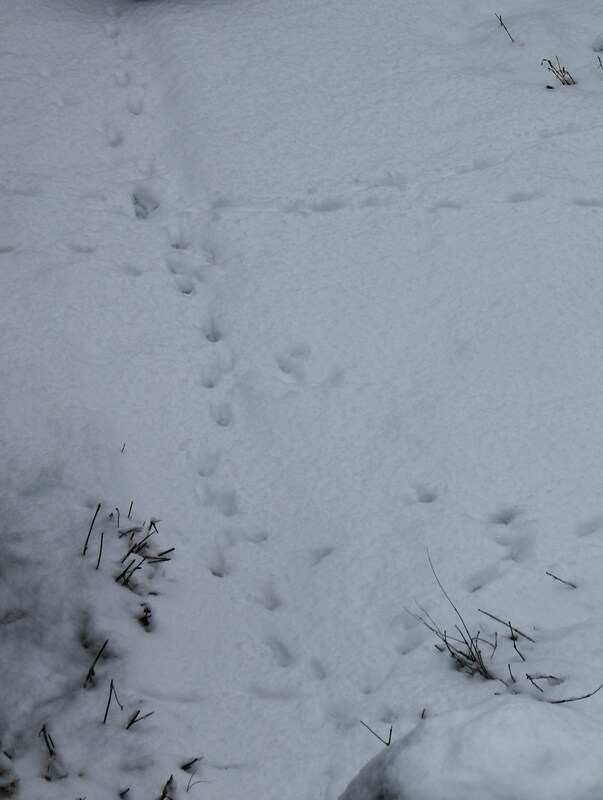 The garden is crisscrossed with catly footprints. …today there is a dead mouse in the toilet. Visions of the cats perched on the toilet seat, trying to scoop the mouse out, mouse paddling frantically. I haven’t inspected closely but it’s missing an ear, which suggests Elton’s involvement, so probably includes inept dropping of prey. I rather hope it didn’t drown. Fortunately we are a two-loo household. A drew the short straw and donned rubber gloves to deal with the corpse. Julian is fast asleep in his basket on top of the tumble-drier in the kitchen, and Elton is sulking about not getting a third breakfast. That’s what happens when you live with carnivores. This entry was posted in Nature and tagged cats, hunting, mouse, snow by Cherry Potts. Bookmark the permalink.